http://www.africa-insites.com/uganda Tourism in Uganda - contains information on national parks, tours, accommodations, travel advisories, places to visit, and more. Mweya Safari Lodge and Paraa Safai Lodge VISIT THE PEARL IN THE PARK www.MweyaLodge.com VISIT THE JEWEL OF THE NILE www.ParaaLodge.com. http://www.africaindex.africainfo.no/africaindex1/countries/uganda.html Uganda - The index has been created by The Norwegian Council for Africa, as part of its comprehensive effort to strengthen the knowledge of Africa and African affairs. http://imul.com/ InfoMail: Uganda - Recognising the need for advanced data communication and information services and driven by the existing gap in this area on the Ugandan market, InfoMail (U) Ltd was established to provide Internet access services. http://www.sil.org/ethnologue/countries/Ugan.html •Languages of Uganda - The Ethnologue is a catalog of the world's languages including information on alternate names, number of speakers, location, dialects, linguistic affiliation, and other sociolinguistic and demographic information. This database represents the 12th edition of the Ethnologue, published in 1992.
http://www.sas.upenn.edu/~wdpatter/ •Traditional Dance and Music from Uganda - Resources on Ugandan dance and music, as well as on the Ndere Troupe. 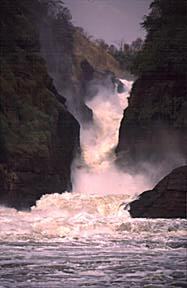 http://www.ietravel.com/destafruganculhis.html Cultural History of Uganda - Africa's Wildlife Frontier. The Country in Brief, Geography and General Overview, History in Brief, People and Language. 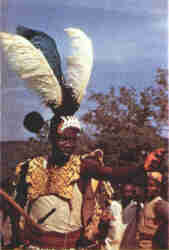 http://www.buganda.com/buganda.htm A site describing the history, language and culture of the people of Buganda. http://www.robinsonresearch.com/AFRICA/UGANDA/history.htm Uganda: History - A composite of four kingdoms and many tribes, Uganda was a focal point of European rivalry before being ceded to Britain in 1890. Uganda - Benevolent Dictatorship J. Oloka-Onyango, a professor at Makerere University in Uganda, describes Uganda's turbulent rise to constitutional government. http://www.chimborazo.com/ Chimborazo Light Power. For information about global markets read about the 21st Century Consumer. Or, for specific information about African market potential for US marketers and investors, visit Lake Victoria Free Trade Zone s web pages. Catastrophically, the HIV/AIDS pandemic along with other endemic tropical diseases such as malaria, have killed many parents in Uganda. In traditional Ugandan society the children of deceased parents became the responsibility of other supportive adults within the extended family structure. Under the umbrella of the extended family, there was always another adult willing and capable of filling the supportive role of a missing parent, such as an uncle, aunt, cousin, grandparent or older sibling. Unfortunately, this supportive structure is collapsing from the enormous losses caused by HIV/AIDS. As a result, many children are left to suffer a very impoverished and hopeless existence. Moved by this unfortunate situation, a group of Americans and Ugandans have formed Uganda Children's Fund Inc., a non-profit organization dedicated to helping the needy children of Uganda. Uganda Children's Fund Inc. is planning to build and operate a residential complex near Jinja, Uganda, where orphaned children and impoverished single-surviving parent families can find refuge from the ravages of poverty. The complex will be composed of family oriented living quarters, primary school, technical-trade school, and farm. The goal of Uganda Children's Fund Inc. is to rescue impoverished children and provide a secure and supportive village-like environment where resident single-surviving parents can contribute as the "foster" parents of orphaned children. It is a further goal to provide the children with a future..... based upon a quality primary education and practical technical training in trade skills, modern agriculture and technology. The founders of Uganda Children's Fund Inc. are determined to do their small part in rescuing at least "some" of the children who's lives have been devastatingly disrupted.